Hollywood High School’s Cross Country team won their first meet of the season against Esteban Torres High School on Sept. 27, 2012. 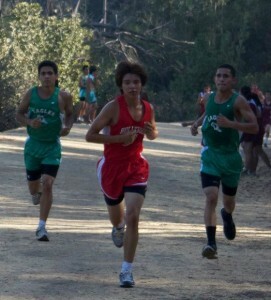 The meet was held at Elysian Park and the course was three miles long. Some runners achieved first place for every division which included FroshSoph, JV, and Varsity for boys and girls. Tenth grade SAS student Sergio Espejo ran the course in 19:50 which got him first place in the FroshSoph Boys Division. This is not the first time the XC team has won this season. On Sept. 22, five members of the team won medals at the Belll-Jeff Invitational. Tenth grade SAS student Eduardo Salvador ranked in 10th place out of 100 runners. Coach Carcano said that this was a “good start to the season” and said he hopes to make it to All-City finals.